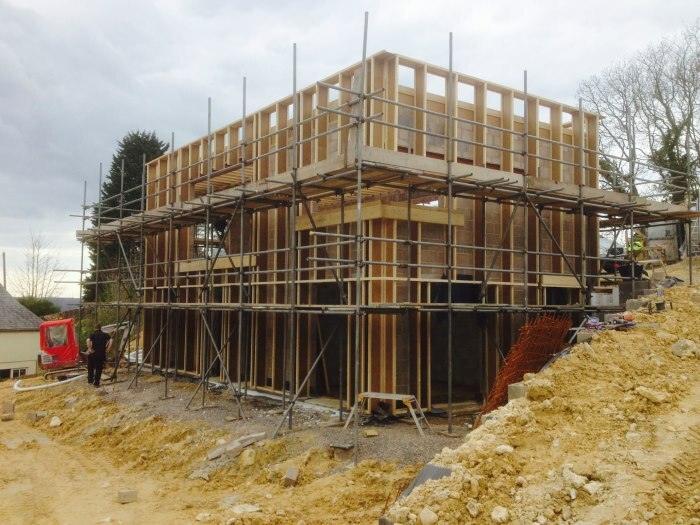 Ben reviews the journey from briefing to planning stage for his own self-build project, with their architect Chris Parsons from Parsons & Whittley. After their briefing session with Ben & Kay, Parsons & Whittley set about sketching some ideas to see how the whole brief could come together. Constraints (such as where the building can be situated, the orientation etc.) and opportunities (for example nice views) needed to be incorporated into the designs. 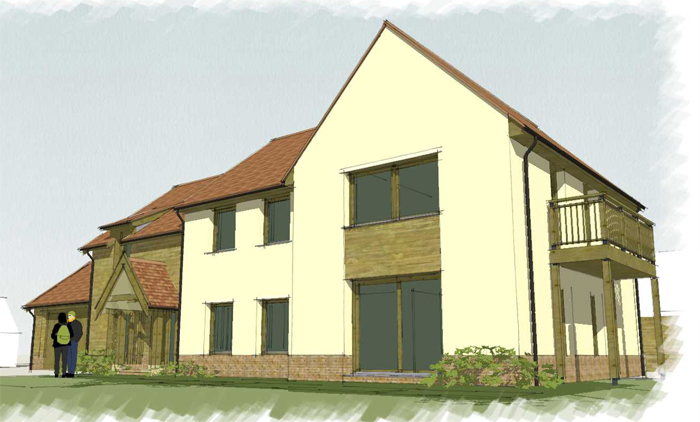 The firm uses SketchUp for initial designs through to the planning stage; this 3-D software enables them to play with shapes to try to find a form that works. Chris explains it was a deliberate decision to omit materials from the first sketches sent to Ben & Kay, as materials can have a significant impact on how a building looks and the first task was to isolate the form. They had some ideas about materials when producing the first sketches, but when they put them onto the model in SketchUp, Chris felt it might be a step too far at that point to try and get commitment on material choices. After a bit of feedback from Ben & Kay about the form and floor layout, Parsons & Whittley submitted updated designs. The planners flagged a potential issue with the height of the building, which could affect the neighbour. Chris recalls that trying to find the right material balance for what they were trying to achieve required some ‘toing and froing’. 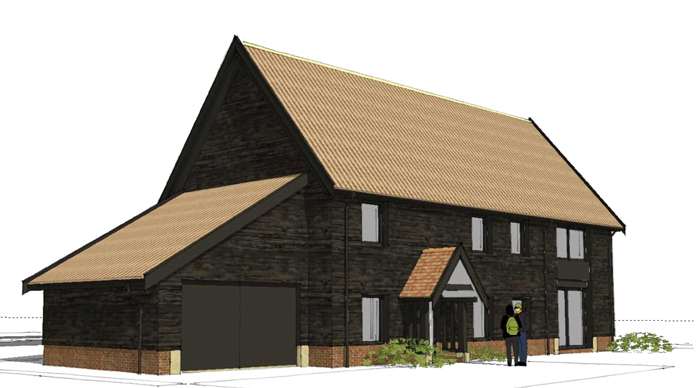 Brick and barn aesthetics were discussed, along with black weatherboard, but Ben & Key felt this to be too strong. A rendered look was more appealing, but perhaps not for the whole building. This thinking, along with trying to avoid overlooking the neighbour, meant different materials were considered for different elements and started to introduce a degree of complexity that neither party really wanted. However it was a valuable process that resulted in a return to a simpler form but with a provision to protect the neighbour’s privacy. What are appropriate materials for the location and setting? What does the client like? Are there issues around maintenance and longevity of certain materials? 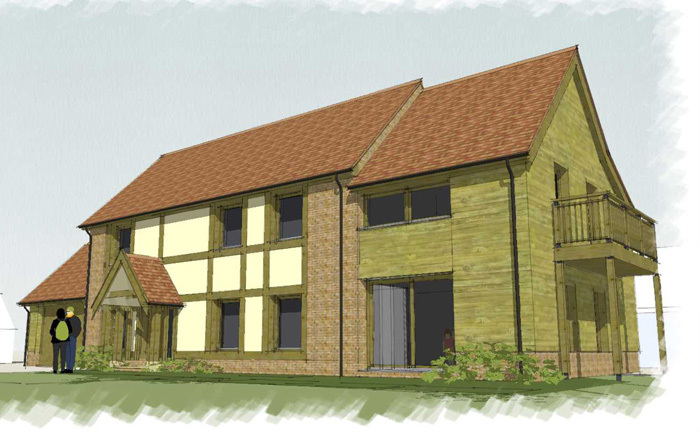 It’s also time to decide how the house will be built, using timber frame or masonry, for example. 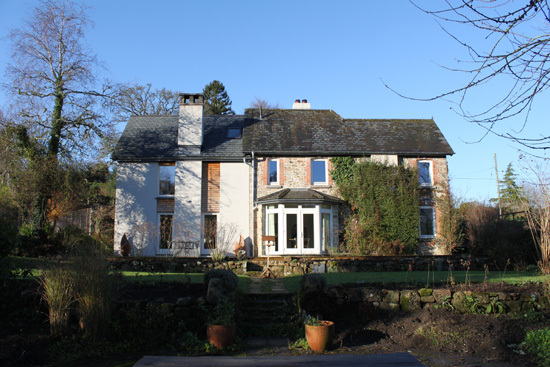 Kay expressed an interest in a soft lime rendered finish and to do that properly, Chris felt it would be easiest and most cost-effective to apply that to a masonry external skin. Parsons & Whittley eventually managed to track down a copy of the green belt area, which they then transferred onto their plans. This showed the planners they weren’t straying into the green belt, only coming up to the edge of it so that the house would be as far away from the neighbour as possible and maximise the amount of private garden for Ben & Kay. 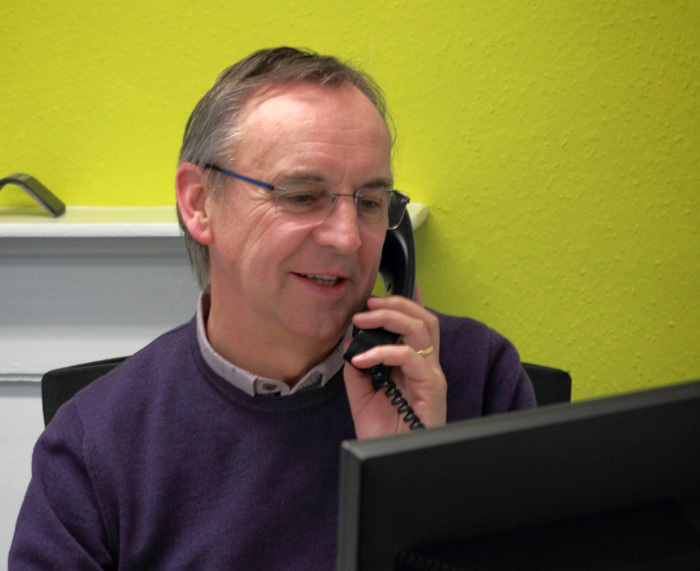 Chris’s advice is to think carefully about what you’ll need to demonstrate within all of the documents being submitted as part of a planning application. 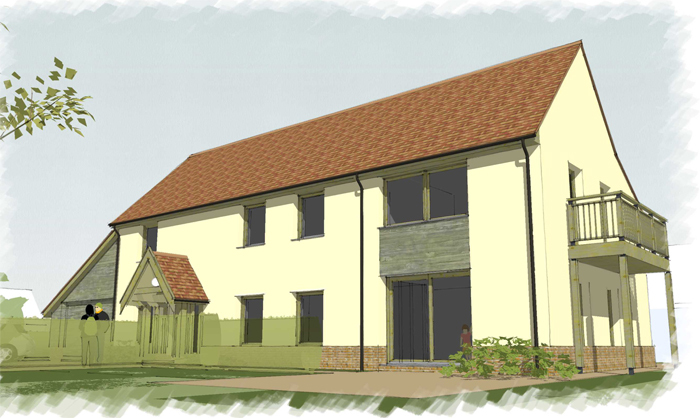 SketchUp allows them to position the house “in the real world”, so they did quite a lot of work in terms of a ‘shadow study’ for Ben & Kay’s project. By setting a date and time within the software, they can see where the shadows are likely to fall and demonstrate there’d be no overshadowing of the neighbour. They also developed a cross-section that showed i) the existing consent, ii) all previous consents on the site, and iii) what was now being proposed, for comparison and to dispel concerns of overshadowing. Lastly, they ran a straightforward PHPP model (with some assumptions at this stage) and submitted the verification sheet to the planners to support the argument that this will be a Passivhaus. 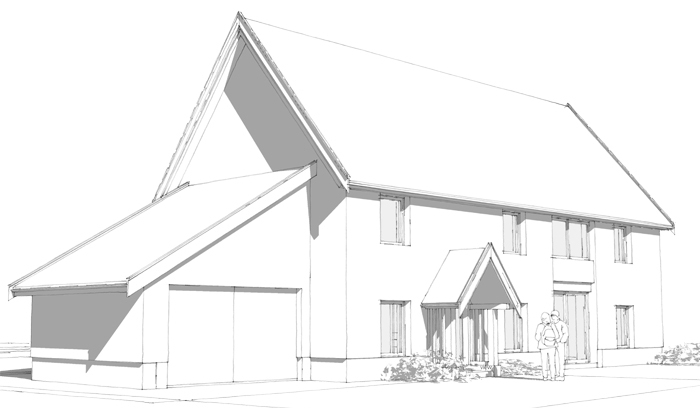 You don’t always need to submit a brand new planning application if consent already exists. In Ben & Kay’s case, Chris simply wanted to vary the approved drawings. This was a tactical decision given the proximity of the site to the green belt. 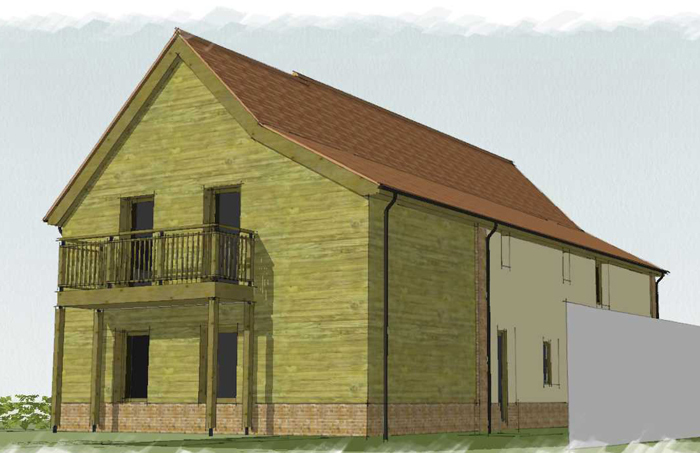 As the principle of building on it has already been established, the section 73 application allows the planning officer to determine if this dwelling they’re now presented with is acceptable in planning terms. Changes in legislation require planning departments to list the drawings that they’ve approved, which makes it easier to pursue this route of seeking to change approved drawings rather than revisiting the whole policy of ‘can I have a house there?’. Planners are required to make a decision within eight weeks from the date of validation. Chris says that most planning authorities get about 90–95% of decisions through in that period of time. If decisions need to go to a committee, then the timeframe might be extended but only with permission. If they can’t make a decision within eight weeks, applicants have the option to appeal to the Secretary of State against non-determination. However this isn’t a process Chris would recommend as it would likely take at least six months to get through it. The outcome will be yes or no but might be a yes with conditions, some of which the applicant isn’t happy about. If the planners were to refuse the section 73 application submitted on behalf of Ben & Kay, they could only do so on planning grounds. Parsons & Whittley would look at what those planning grounds were and advise on the best way to proceed. This may be simply amending the design to satisfy the planner’s concerns and re-submitting, which within 12 months for the same type of application does not carry a fee. The appeal route would remain a last resort. 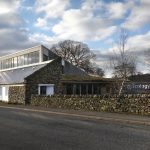 However, Chris argues it shouldn't get to that point as a good architect will stay in contact with the officer during the eight-week review period to ascertain if there are any objections that can be resolved before any decision is made. Ben and Kay Adam-Smith visit their architects Parsons + Whittley to discuss how to move their project forward. There are decisions to be made over which designs to pursue, what materials to embrace and how to address the various constraints (including bringing down the height of the building). After buying a plot of land and hiring our architecture firm, we briefed them on what we were after. We really liked our first sketches back and we developed the floor plan within. Chris also submitted these sketches to the local planning department for feedback. Whilst waiting for the feedback from the planners, we had moved onto materials. The first option presented to us was a brick finish. 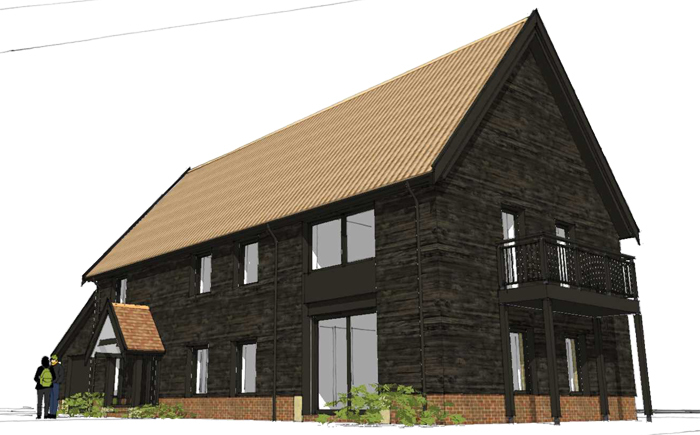 The second option embraced black timber cladding (more of a barn aesthetic). Kay and I felt these routes weren't quite right for us. And we asked about whether we could break up the building by using more than one material (e.g. lime render, lighter timber cladding, etc.). Little did we know that this suggestion would mean redesigning the house! However, this was also at the stage where the planners had fed back that they wanted the height of our building to be more in line with the extant consent. 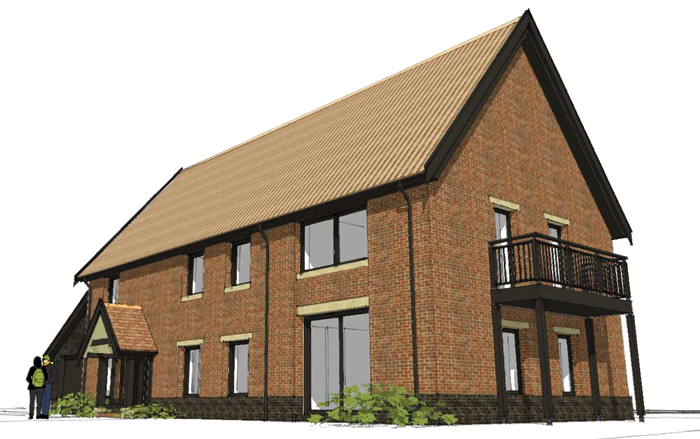 So the third option, which now addresses the height of the building and therefore the amenity of the neighbour (really down to overshadowing and view of the sky), is a house that steps down. The fourth route introduced something called a cat slide at the back of the house as a way to prevent a loss of amenity for the neighbour. These were the options we discussed in the meeting but we were keen to return to a simpler form if possible. The route we chose to pursue returned almost to the initial designs but with a cat slide at the back. 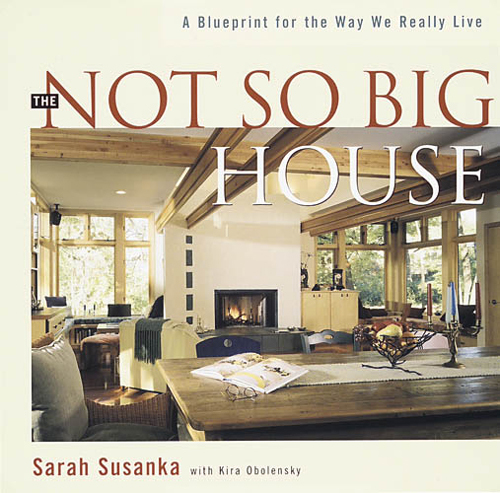 We re-run an interview from 2013 with architect and author Sarah Susanka on the importance of scale. We discuss how much space we really need when we build a new home. In 1971, at the age of fourteen, Sarah moved with her family to Los Angeles from a little village in Kent with a population of a thousand people. Her new high school was three times the size of the village where she’d grown up. 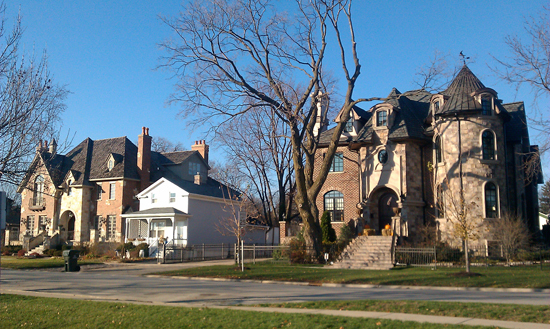 Having lived in both the UK and the US, Sarah's perspective enables her to comment on the American house and American development habits and how to build differently. Recent hard economic times have woken people up to the recognition that they want something that looks nice and feels nice to live in, but they don’t need as much stuff and space as they thought they did. Sarah bases her approach on the principle that it is the qualities of a home that really make us feel inspired. Her advice is to shape the whole space not just the floor plan. She mentions ‘A Pattern Language’ by Christopher Alexander, which is a good reminder for self-builders that they already have inside them an understanding of building and architecture. Sarah describes using a set of tools to think about space. 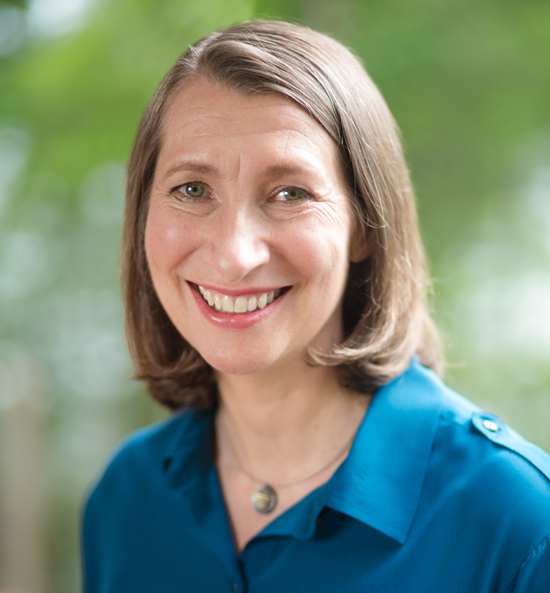 Her fourth book ‘Home by Design’, dedicated to Christopher Alexander, helps homeowners to absorb and then apply these principles, with illustrations that readers would be familiar with. 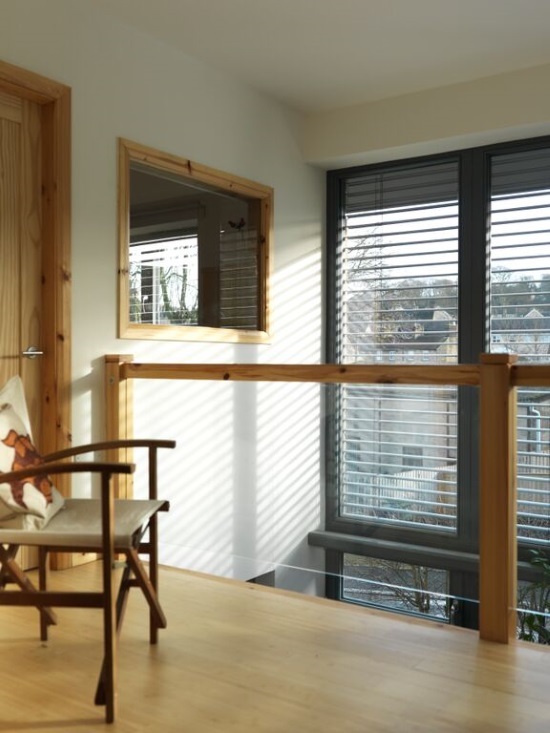 These archetypes for designing and building include many features known to British homeowners, such as nooks and crannies or window seats within thick walls. 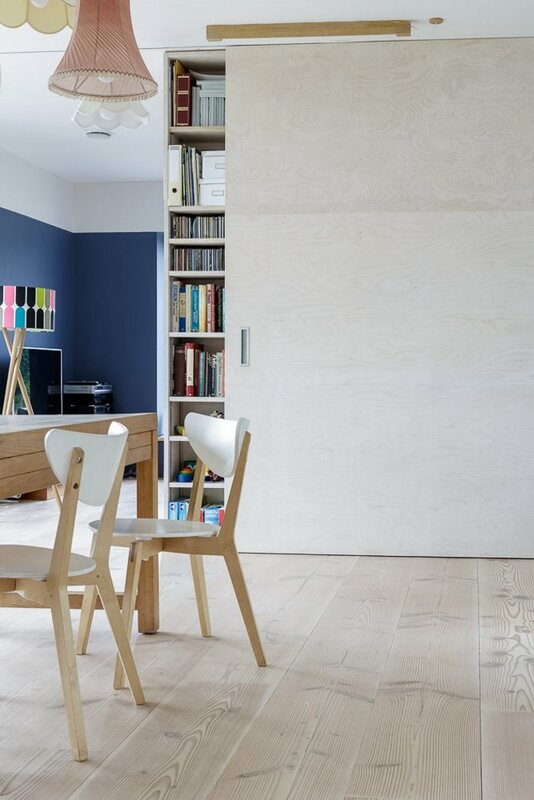 Alcoves such as these satisfy a human desire to be in a smaller space, looking into a larger room. People build bigger and bigger houses thinking that somehow this is going to get them the sense of home they are looking for. However, referencing the sensibility of the Arts and Crafts movement, Sarah promotes the idea that less can sometimes be more. Some people go wrong because they don’t know how to ask for a well-designed house where every square foot can be used every day. When Sarah designs a house, she tries to make sure it has a workspace in it that can be the in-home office allowing people to work virtually. We no longer need to meet and work in one place, since technology allows us to talk to each other so easily. As Sarah works with architects in several different states, she has seen how working remotely is becoming far more acceptable. Moreover, working from home is another way to save a lot of energy. Ultimately the amount of space depends on the individual who is building a house. Sarah encourages them to make decisions in a way that really benefits their lifestyle. The way to make your house really feel as though it fits you is to start by looking at what it is that you like. Don’t be afraid to make your house your own just because you’ve been told it will make it harder to sell later. Human beings respond to beauty. If we create something that we’re proud of, that is beautiful, we tend to look after it. Therefore beauty has to be at the core of any really sustainable home. Whether you call it sustainability, or green design or energy efficient design, building your own home not only needs to look after you and your family, but also the community, the neighbourhood and the planet as a whole. 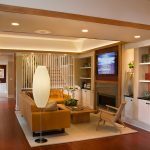 Good design will help you build a home that gives you what you want while needing the minimum amount of resources for heating, cooling and maintenance. Sarah designs all her houses to be energy efficient and well insulated and have good indoor air quality. 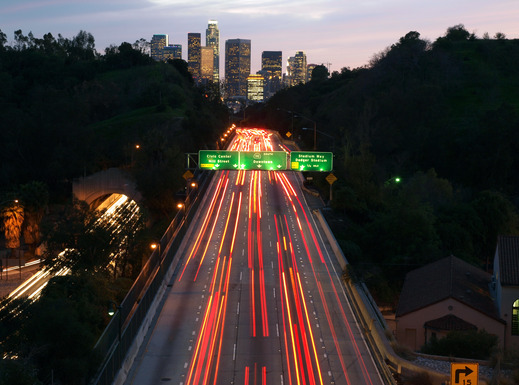 Sarah recalls how there was no need to walk anywhere after the move to Los Angeles. But when you pass people in a car you don’t get to talk to them; you don’t get to stop and ask how they are doing. This phenomenon is typical of America as a lot of the country was developed after the advent of the automobile. Comparing the US and the UK, she comments: “There’s such a wonderful sense of community in so many of the towns and villages in England that is largely absent in this country”. Sarah is now seeing that the millennial and baby boomer generations are both really interested in downsizing and living closer to a town centre or in a place that is walkable. Juraj Mikurcik is building his own home in Herefordshire and is documenting the process as he goes. 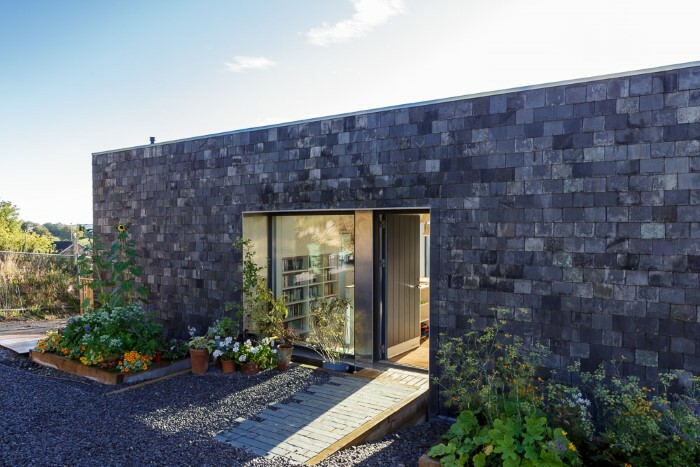 The house is built with Ecococon straw bale panels and is clad in charred cedar. There is also a tin roof. Juraj is a great photographer and that really helps this blog come to life. 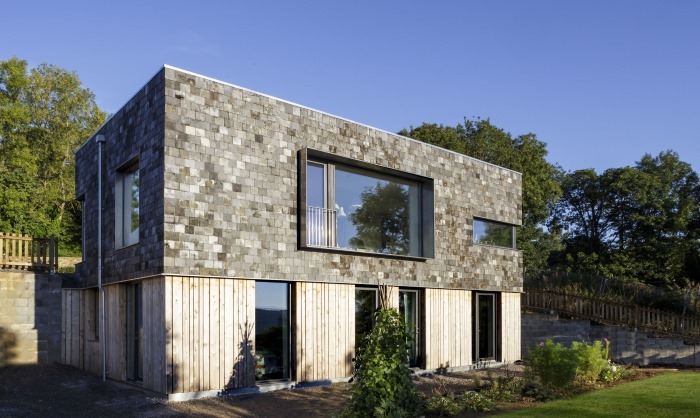 Tara Murphy and Dimitri Daras talk us through their Gloucestershire self build project, with a focus on how they managed their budget. After selling their London flat and moving west, Tara and Dimitri were uninspired by the quality and value for money of houses for sale and made the decision to self build. 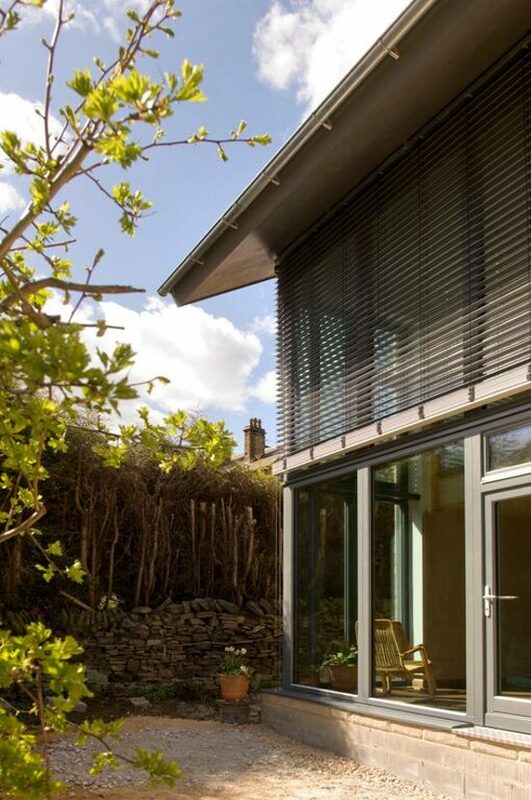 With a budget of £350,000 they built ‘The Cut', a two storey low energy home. 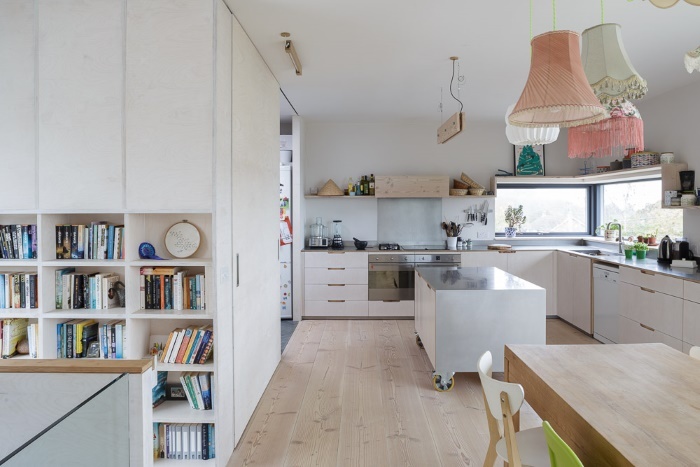 Their finished house also featured on the TV programme ‘Building the Dream', which was presented by their architectural designer, Charlie Luxton. Leave a realistic amount of your budget for the build costs! Tara spent a year searching for a plot in the Gloucestershire region, and during that time was able to build up good knowledge of what was a fair price to pay for land. Deciding how much they were prepared to allocate for a plot determined how much of their budget they would have left for their build. Plots around the £80,000 / £90,000 mark tended to be in locations that didn't appeal, and those available at closer to £200,000 they knew wouldn't leave a realistic amount to build their home. Their search concentrated on plots (and buildings that could be demolished) in the region of £150,000. The plot they purchased was being offered at £175,000 and they managed to buy it for £162,500, which Tara considers to be a fair price. Unusually there was no competition for the plot, and they were delighted that they had found somewhere within their budget that had the amazing views, space for a good-sized garden, house and car parking that they had been looking for. They had thought they may have to compromise. Arranging the mortgage turned out to be a frustrating, risky and expensive process. 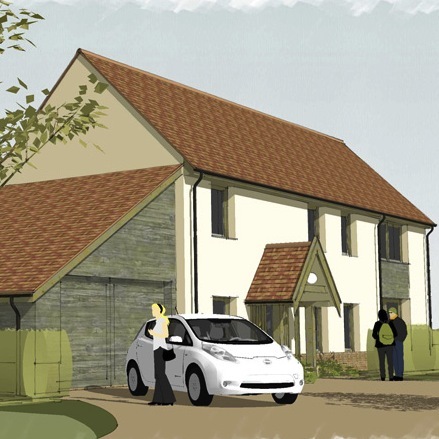 Even using mortgage products designed for the self build market, they found it challenging. The mortgage company wouldn't lend money without plans, so Tara and Dimitri had to employ someone to design the building before they even owned the land. They put the offer in for the land in the July but it took until the following January for the mortgage to be approved and the land purchase to go through. During that period they had spent around £20,000 on the project and were living with the risk that the vendor could walk away at any time. Tara and Dimitri knew they wanted to build a contemporary home, so looked at portfolios on the websites of local architects. 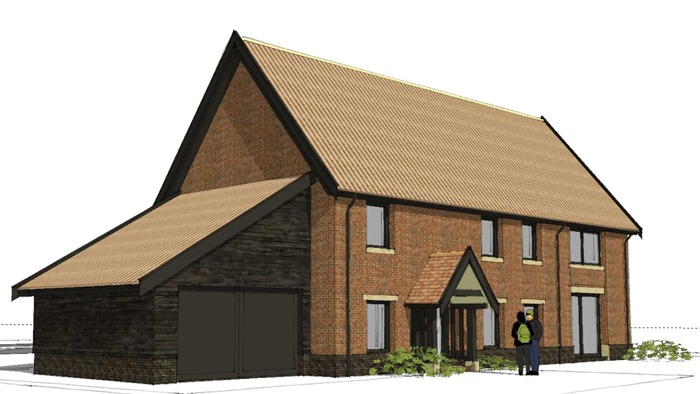 Another consideration was that they were interested in Passivhaus design and were keen to find an architect with knowledge and ideas around that. Drawing up a shortlist of four, Tara was struck by a comment that the architectural designer Charlie Luxton had made that, whoever they chose, they needed to make sure it would be someone they could be honest and have robust conversations with. 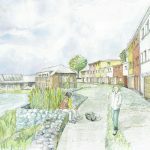 They selected Charlie Luxton Design as they liked Charlie's design work, enthusiasm and interest in Passivhaus principles. They also felt that by visiting so many other projects for his TV work, the extra experience could only benefit their own build. The final design didn't change too much from the original sketches. 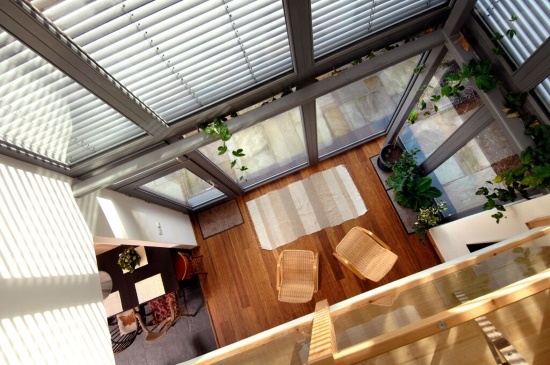 The only things that were really affected by the budget were the flat roof which was selected partly because it was a cheaper option than others, and the living room windows which they had wanted to be able to throw open completely, but were going to be far too expensive. Their original plan to use locally sourced materials also had to be reconsidered when they discovered how much the Cotswold stone was going to cost! The form of the building was kept very simple to maximise the volume and to work within their budget. 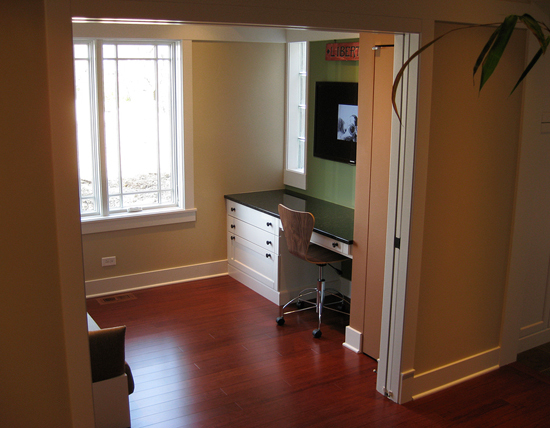 Costs were also kept down on their internal features and by using lots of plywood finishes around the house. 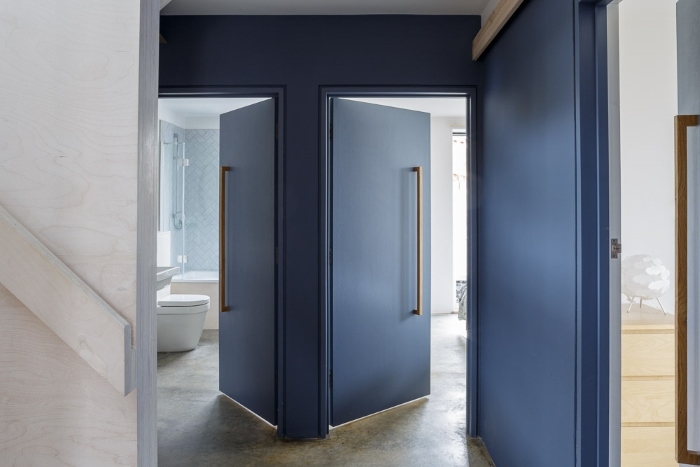 By opting for a minimal design they have not had to spend money on architraves and skirting, and they didn't have to spend money on expensive flooring where they were able to power float the concrete slab instead. 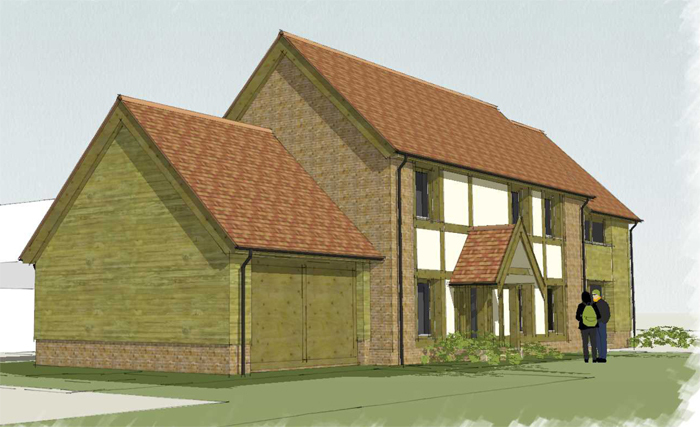 The architectural designer and builder worked together to design the building structure which they were able to make more economically than using a timber frame company. While the careful design and spending on the house fabric came in on budget, their finances were impacted by unexpected groundworks costs. They had originally allocated £5,000 for these as preliminary works had already been carried out by a previous owner. When they came to excavating into the hill they hit huge chunks of rock which was when they discovered that it was actually an old quarry site. Removing this rock destabilised the bank and resulted in considerably more work and money to make it safe. Together with a higher than anticipated electricity connection cost, they were around £40,000 over where they had expected to be. They applied for more money through the mortgage to cover these costs and had to forego plans for a car port / garage area. When it came to making savings to the house, they felt that the design and finishes were already quite simple and struggled to see where they could reduce costs. Dimitri's philosophy was to work out what was fundamental and non-negotiable and to accept that it costs what it costs. Their builder dealt with the budget spreadsheets so was able to let Tara know how much she had available for which areas, and she did the best she could with the budget she had. Tara advises always getting lots of quotes in order to get the best deal. She also recommends keeping on top of hours worked by the contractor and what sort of costs they've accrued, to save an unexpected, uncomfortable and expensive situation at the end when they could present their final invoice considerably higher than their estimate. Download a transcript of the interview with Tara Murphy and Dimitri Daras. Continuing on our podcast theme, our latest module in The Hub is all about finance. We're trying to address the core issues and look at typical ways that you might fund a project. We examine how self build mortgages work, what you should do if you have assets, and under what circumstances bridging loans might be an option. And in a new video episode of the Long Barrow Passivhaus build, we're following the raft foundation stage: pouring the concrete and finding out why there's so much steel in the foundation. If you're someone that has decided that self build is not for you then please contact us as we'd love to know what happened and why. What is the barrier that is stopping you? Is it finance, finding land or something completely different? 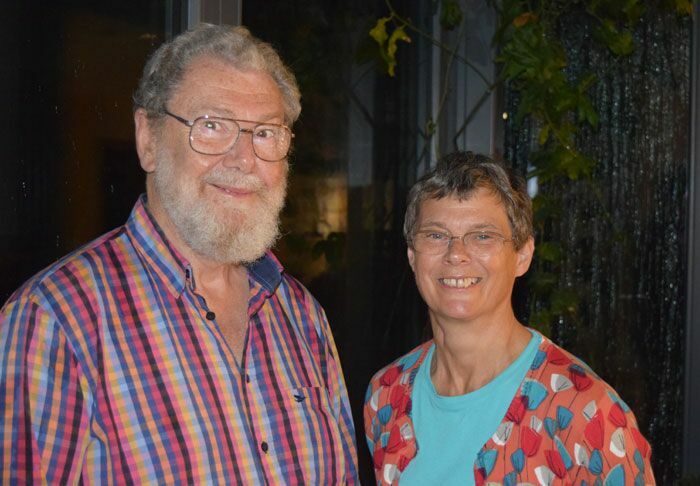 Geoff and Kate Tunstall explain how they were able to create a fantastic Passivhaus in Denby Dale with a budget of around £150,000. When Geoff and Kate decided to self-build and downsize for their retirement, their first idea was to build a dormer bungalow with a conservatory. 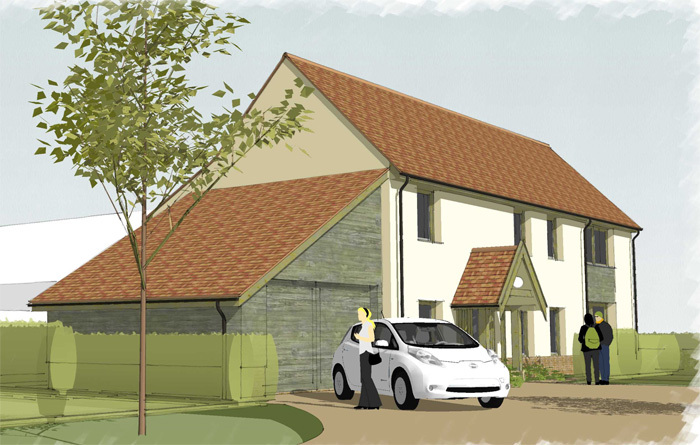 Following a conversation with Green Building Store, they were encouraged to explore Passivhaus as an option. Back in 2008 there weren't any examples of Passivhaus in the UK that they could visit, so they travelled to Austria. 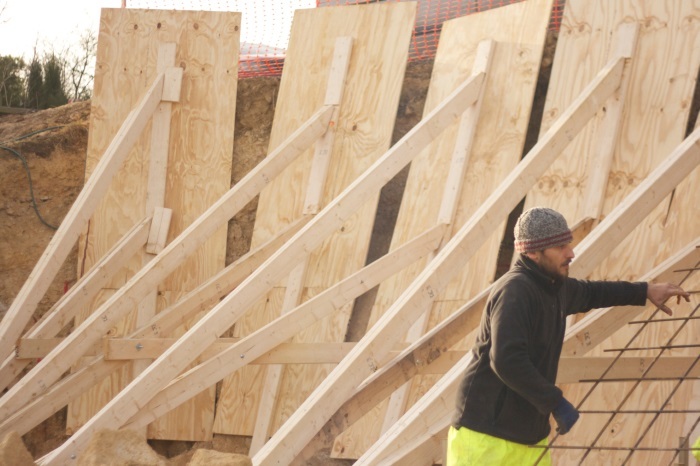 After visiting two properties there which had temperatures of 20/21 degrees, despite outside temperatures of -4 degrees, they made the decision that if they could afford it, this was how they wanted to build. The plot for their build was at the bottom of the garden of their existing house. Unfortunately a builder had bought the plot of land behind this and, based on the value of the plot, demanded £30,000 for a six inch ransom strip that they needed to provide them with access from their building to the road behind. After a year of fighting this, and the builder realising that the money was their contingency so it was this or nothing, they eventually agreed to pay a total of £18,000, which used up their contingency before the build had even started. During that year however, the designs for the house were all researched and finalised to the extent that as soon as the ransom strip issue had been resolved they were able to progress straight away with the build. Originally they wanted to build a bungalow but the plot size didn't make this feasible. 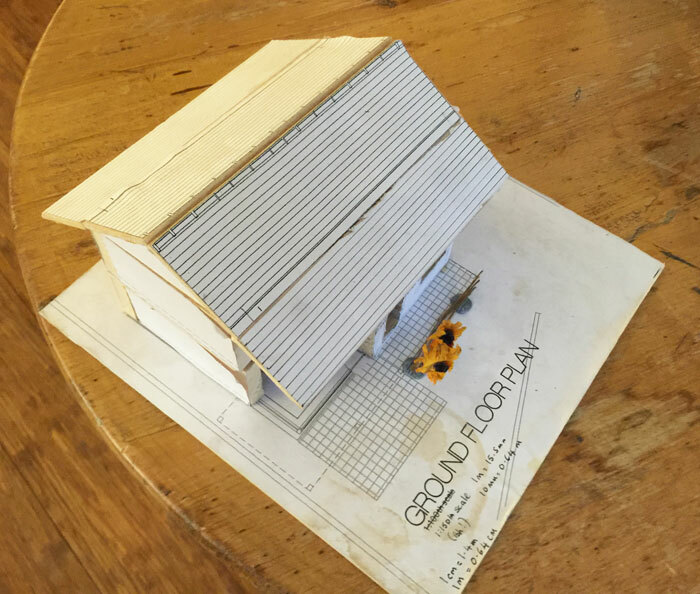 Kate found it useful to create a 3D model out of balsa wood to get a better idea of how well furnishings would fit and how comfortable the spaces were likely to feel. They also found using the model was a helpful way of explaining their ideas to the building team throughout the process. Particularly because their last property was a dark and draughty cottage, Geoff and Kate were keen to build a warm and contemporary home with lots of natural light. 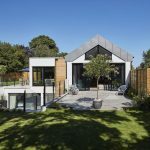 They had to abandon their original conservatory idea after running it through PHPP, but instead they remodelled it to feature a two-storey solar space which beams the light throughout the house. Using Kate's 3D model they realised that one of the bedroom windows seemed uncomfortably small. Again using PHPP the design could be changed to accommodate a larger window by adding higher performance floor insulation to compensate. From the outset, everyone knew the budget was only around £140,000. With regular meetings between themselves and the design team throughout the design process and the build, they were able to keep on top of what was happening, when, and how much things were going to cost. 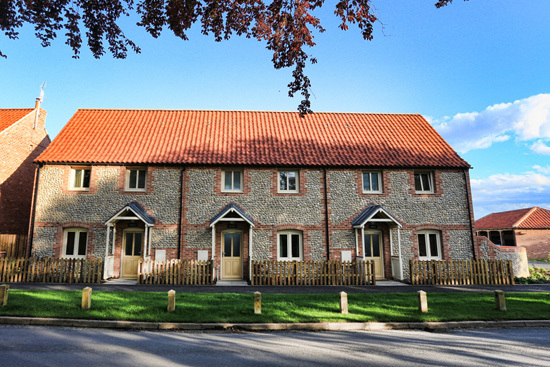 Living on site was a help because they were able to spot any little details that needed changing before the build progressed too far and became too expensive to amend. Geoff explains that on a Passivhaus there are certain non-negotiable things that need to be budgeted for and for which there are no short cuts, such as triple glazing and the ducting for the MVHR. Where they saved money was by spending time researching things like inexpensive lighting and kitchen units. The Build Wasn't Without its Challenges! One of the biggest challenges they faced was building throughout one of the coldest winters in a generation. It was too cold to use the paint they had planned, mould spores started showing on the clay plaster and they had to put up a screen so they could continue working in the howling gales and snow. A further challenge was the corner windows of the solar space, both from a Passivhaus point of view but also a structural one. They needed to make sure there wouldn't be too much solar gain, and also ensure that the structural support would be inside the thermal envelope. Geoff and Kate have been living in their house for around five years. They wanted a house that could be kept clean easily, that would provide warmth when needed, that would be energy efficient and not amass big fuel bills during their retirement. It has achieved all of these and something which Kate hadn't focussed on before they started was how important it is to have a healthy house. She describes it as being a calm, tranquil and healthy place which will benefit them in their old age! 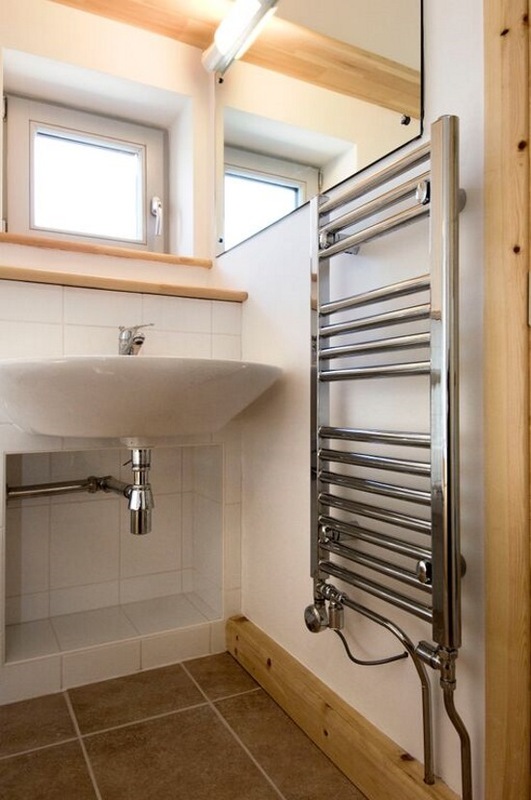 One of the Passivhaus buildings they visited in Austria had some underfloor heating so Geoff and Kate assumed they should put it in their kitchen and bathroom. In hindsight they didn't need to as it's actually never been used. Geoff is adamant that anyone embarking on a self-build project should go and visit a Passivhaus. Once they've experienced it he's quite sure that's how they will then go on to build. He says that even if the initial outlay is a little more expensive, it will pay for itself within three or four years, and be future proofed against rising fuel prices. 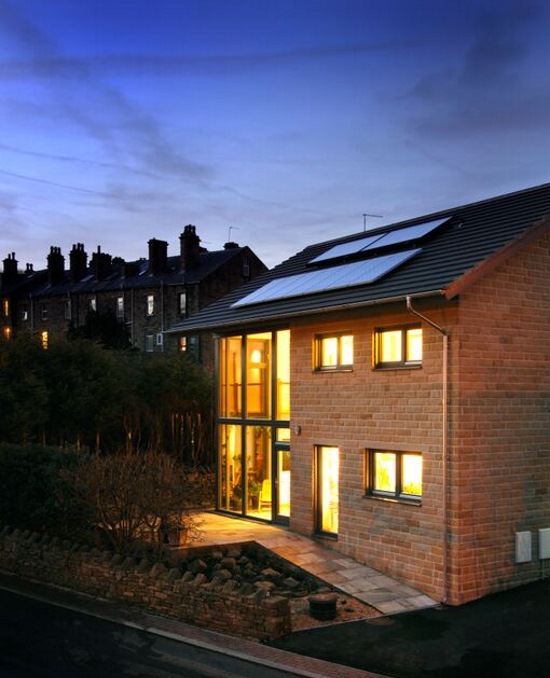 Find out more about Denby Dale in the Green Building Store blog. Download a transcript of the interview with Geoff and Kate Tunstall. If you've listened to our podcasts and enjoyed what you've heard, we'd love you to share the message with others. 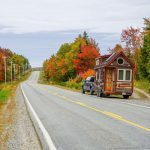 We've made it really easy for you too – just go to www.houseplanninghelp.com/share to send a pre-populated tweet that will recommend our podcasts to others. Thank you! Ben discusses the frustrating reality of watching developers build thousands of uninspiring houses in his home town, while he struggles to find a single suitable plot on which to build his dream home. If you’re building a house in the Outer Hebrides, then you’re probably spoilt for choice when it comes to plots of land. But if, like me, you’re hunting for land in a place of greater demand, the job becomes much more challenging. Andrew Peel from Peel Passive House Consulting explains why the quality assurance procedure is at the heart of the Passivhaus standard. He also feels the process can be useful to improve any building, even if not striving for the standard. 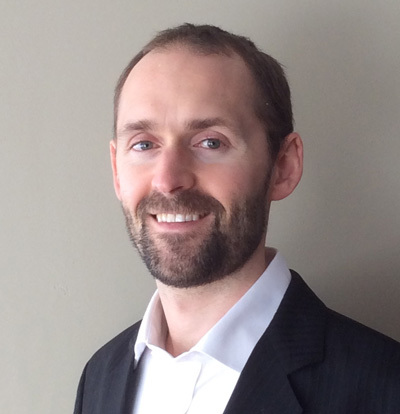 After accepting a thesis position at The Passive House Institute in Darmstadt, Germany, he then worked at Building Research Establishment (BRE) in England, before returning to Canada. 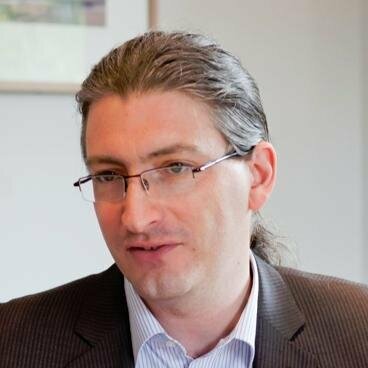 He's now involved in Passivhaus certification, consultancy and training. 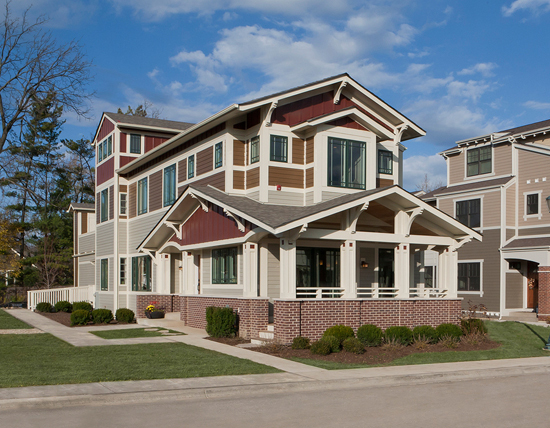 Which Passivhaus Standard Do North Americans Use? Just to confuse anyone looking to reach the Passivhaus standard (Passive House standard) in North America there are two options! One is the 19-year-old international standard, which is supported by groups such as New York Passive House (NYPH) and the Canadian Passive House Institute (CanPHI). The other has been recently introduced by Passive House Institute US (PHIUS), a breakaway group that felt that lower energy prices (amongst other things) in North America made the international standard less viable. Andrew feels the feud has been detrimental overall because the vast majority of practitioners just want to build decent, high performance buildings. Quality Assurance is About Getting the Building That Was Designed! With most construction there is a performance gap between what the designs say will get built and what actually gets built. So the quality assurance procedure (at the heart of the Passivhaus standard) is really a guarantee that what gets built is what was intended. Thus the new building will perform as anticipated. When construction professionals go through the Passivhaus quality assurance process for the first time it can come as a shock! It is about validating all their calculations, assumptions and any of the data they collect on equipment. Andrew gives an example of the performance of windows and how they are rated. In North America this is done through the National Fenestration Rating Council and so the tests and simulations carried out are different to those in Europe. That means that while the basic model can be modified to meet the European standards ultimately how they represent those results are simplified. So they can't just be used directly in Passivhaus assessments. A lot of work is required to ensure that the figures that are being used in the Passive House Planning Package (PHPP) are appropriate. 1. An air pressure test, better known as a blower door test, checks the airtightness of the building and reveals how leaky it is. 2. 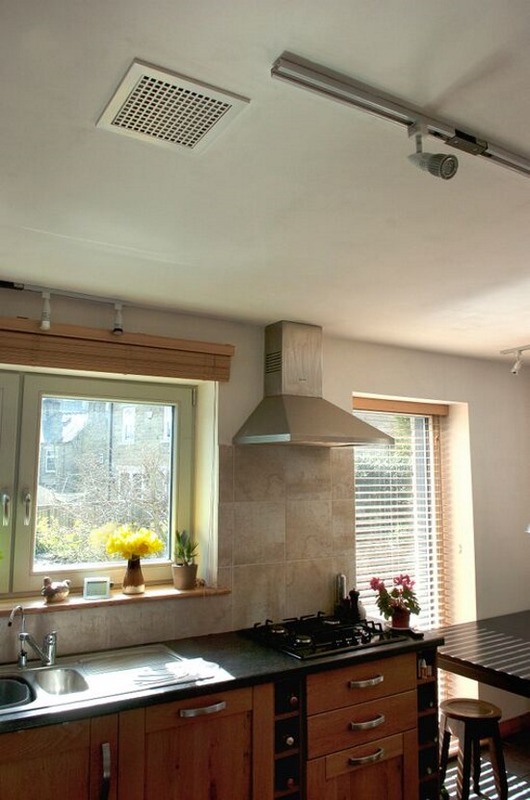 Ventilation commissioning requirements ensure that the system is operating as designed, and that the required amount of air is being supplied or extracted from the various rooms. These two tests are good indicators of the quality of the construction and the installation of the systems. 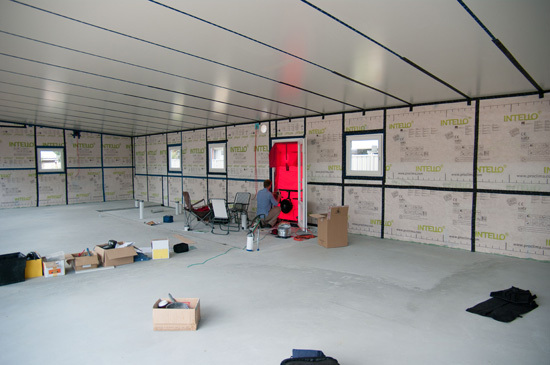 Just through the documentation submitted and the airtightness result it will be clear whether a lot of care has been taken in the construction of the building. An initial design stage review aims to resolve any issues that might jeopardise certification. Once the building is complete the remainder of the documentation would be submitted and reviewed along with any changes. This would include full set of plans (floor plans, elevations, section drawings), the window schedule, the ventilation design, the airtightness strategy, window performance figures, performance documentation from other equipment etc. Andrew reflects on how the Toronto skyline has changed over the last 15 years – skyscrapers now dominate. Unfortunately many of these buildings perform poorly with high energy demands, comfort issues in both the summer and winter, over-sized heating and cooling systems and so on. 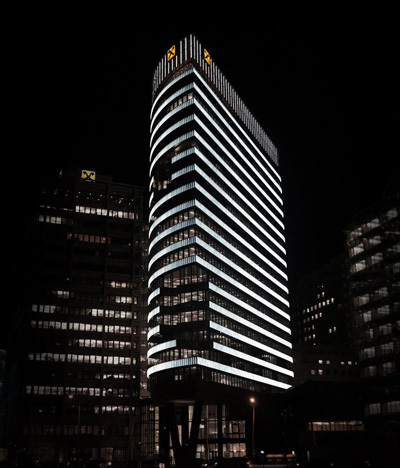 However, the world's first Passivhaus certified high-rise building was unveiled in Germany in 2013. This shows that things could be different. Even if you don't want to go to the full extent of Passivhaus, using the quality assurance procedure is likely to result in a far better building. Andrew gives an example of one of his clients in ‘cottage country' who were about to build to code but asked for some help. Through simple measures Andrew was able cut their energy demand in half, and it wasn't even going to be much extra work. The couple were amazed! 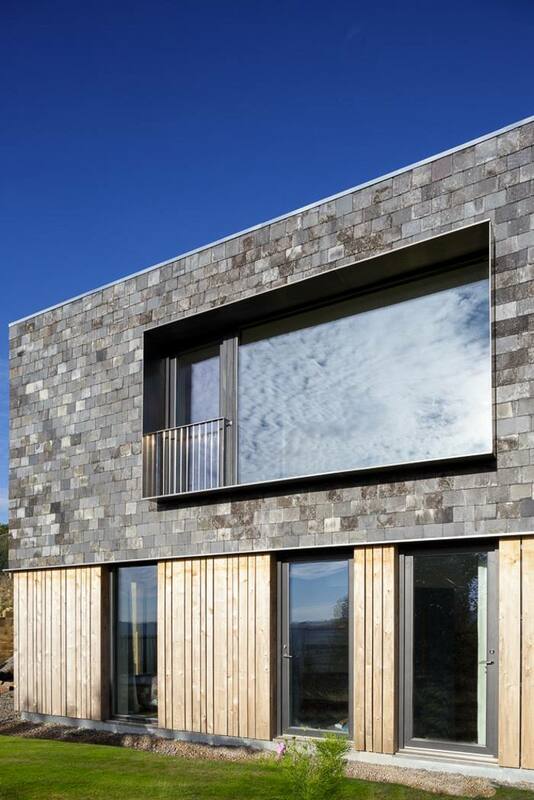 The majority of people are still unfamiliar with the Passivhaus standard and the benefits that building to it can afford. As part of the Canadian Passive House Institute, Andrew says it's their mandate to educate the public, professionals, builders etc. that there is a better way. Download a transcript of the interview with Andrew Peel. 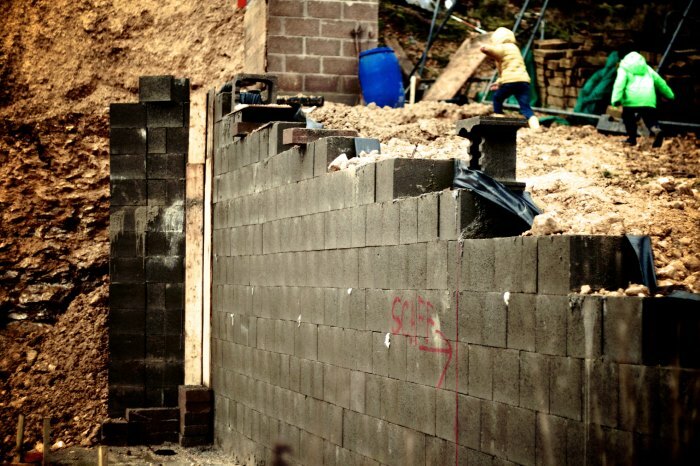 NUDURA‘s insulated concrete forms are being used widely around the world. Recently we produced this video for them, including examples from the UK. It also features the award-winning Curly House which we featured in episode 70. Regen Media specialises in producing video and audio content for the construction industry. If you've recently completed a build, why not tell the world about it and create a useful marketing tool at the same time? Contact Regen Media today to find out how cost effective it can be. Chris Parsons from Parsons + Whittley architects shares his experience of the costs behind Passivhaus. Chris Parsons from Parsons + Whittley architects has always had a focus on making buildings as efficient as they can possibly be. With the issues around global warming and trying to reduce carbon emissions, this is why they found a great synergy with Passivhaus. 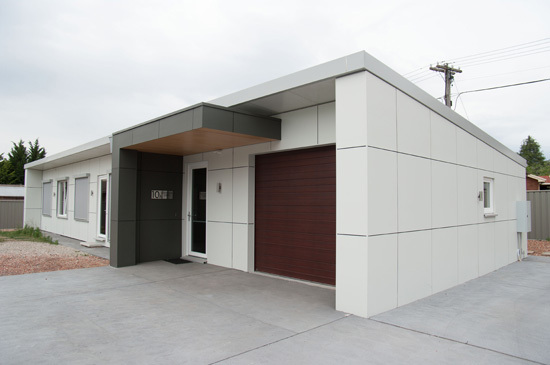 The larger the building, the more efficient form factor you have and the less impact there is on cost. However with smaller buildings, such as the domestic dwellings being delivered by Parsons + Whittley in the social housing arena, there is always an impact on cost. N.B. This episode (from this point onwards) is specifically talking about smaller residential buildings. On the flip side, there is likely to be a simpler mechanical infrastructure in the house because there will be a reduced heating requirement. The building will use less energy, thus reducing running costs. This also means there are fewer carbon emissions. The building will be more comfortable and have a healthy environment (improved air quality). The building will cost less to maintain because it has been built to a higher quality. If the capital cost of housing is divorced from the running costs (as is currently the case in the UK) there is little incentive for developers to build to a high quality, particularly if they can already sell their houses! For this reason Chris believes building regulations should be tightened up. Chris shares information from his Passivhaus schemes. 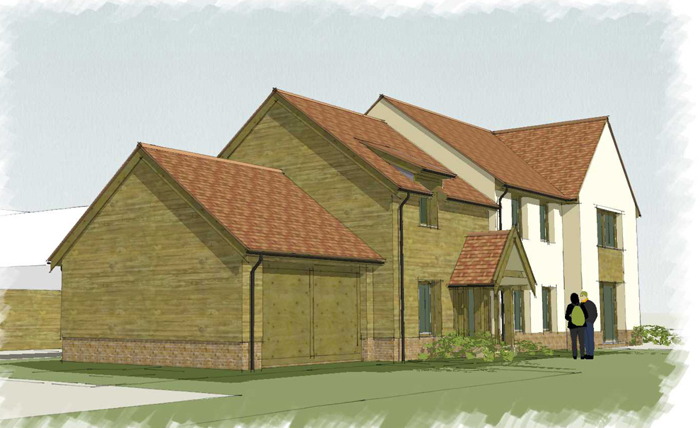 This was Chris' first scheme, 14 dwellings in Essex. 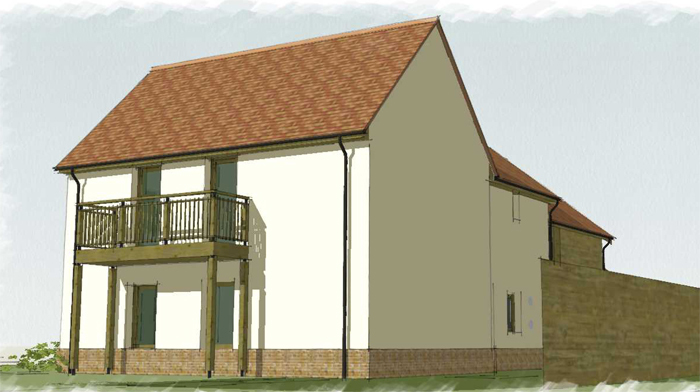 At the time the construction industry (in the UK) hadn’t delivered Passivhaus in a multi-unit arena before and as a consequence procurement was a challenge. 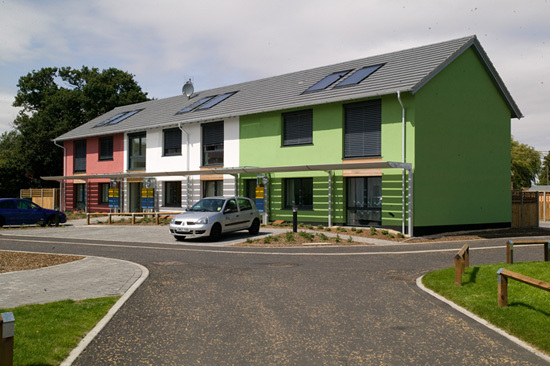 A cost exercise with another 14 unit (Code for Sustainable Homes – Level 4) revealed that they paid a 12% premium to reach Passivhaus standard. 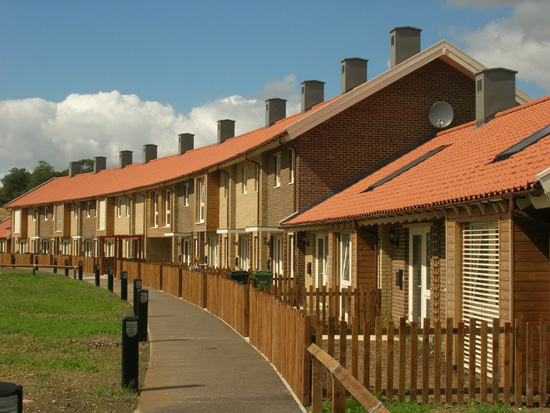 The Ditchingham scheme was built at a time when the housing market was going through a downturn. With the same contractor they were able to secure it for a 6% increase. However, over the course of the project they realised that perhaps this was more to do with negotiation than actual cost. More recent schemes have generally been shown to be around the 12-15% uplift. Chris explains that there is a difference between cost and price. A contractor will always build in a contingency to cover the unexpected (and in the early days Passivhaus was an unknown!). So even if the contractor believes the cost is X, they will assess the risk and add Y. This means that the price to the client will be X + Y.
Chris believes that if the client were prepared to take on the risk, they would reduce their costs in the long run. 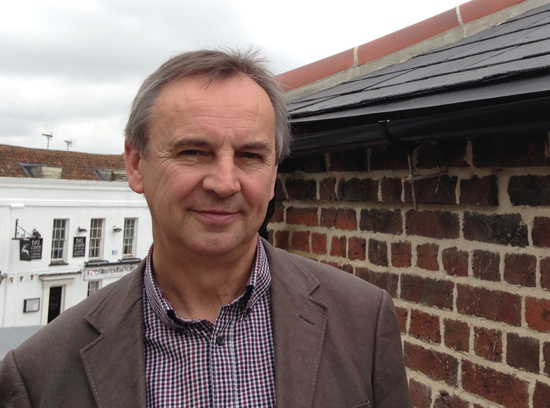 What Chris likes about the Passivhaus standard is that it comes down to a set of numbers. 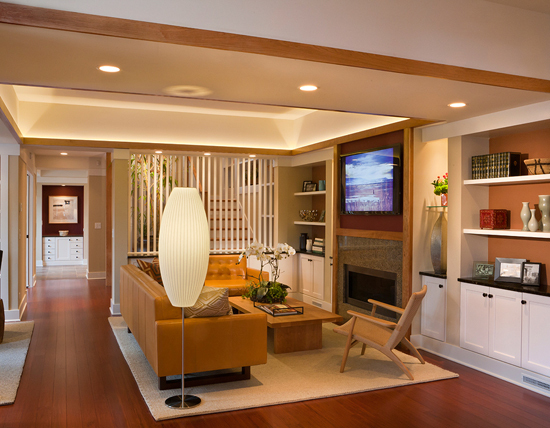 This is about simplicity in terms of detailing and how the space is used. 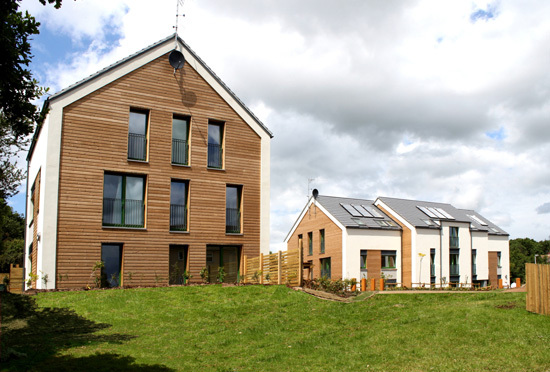 If there is demand for buildings that meet the Passivhaus standard and people recognise the value of it, then it may get to the stage where people are prepared to pay a premium for it. In parts of Europe this is already the case, where that premium is 3 – 5% more. Download a transcript of the interview with Chris Parsons.